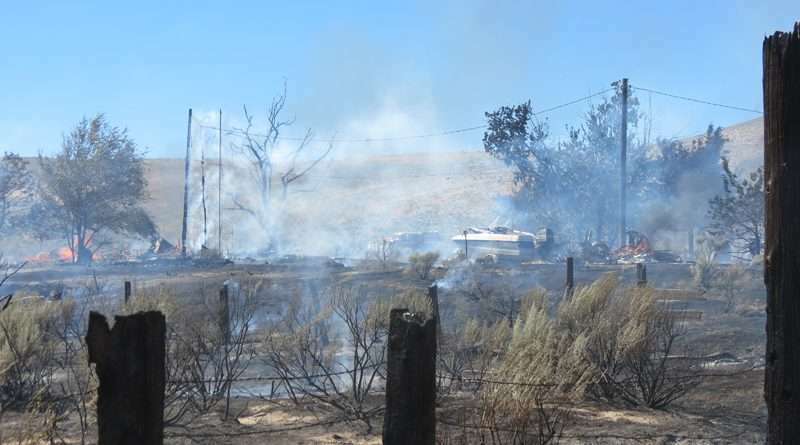 Warm temperatures and a steady wind did not help the vegetation fire that burned land and threatened homes. 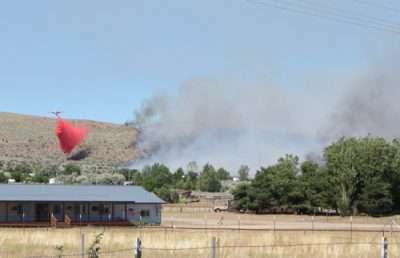 A plane drops retardant along the line of the Hyatt Fire, which started Wednesday afternoon, June 27. 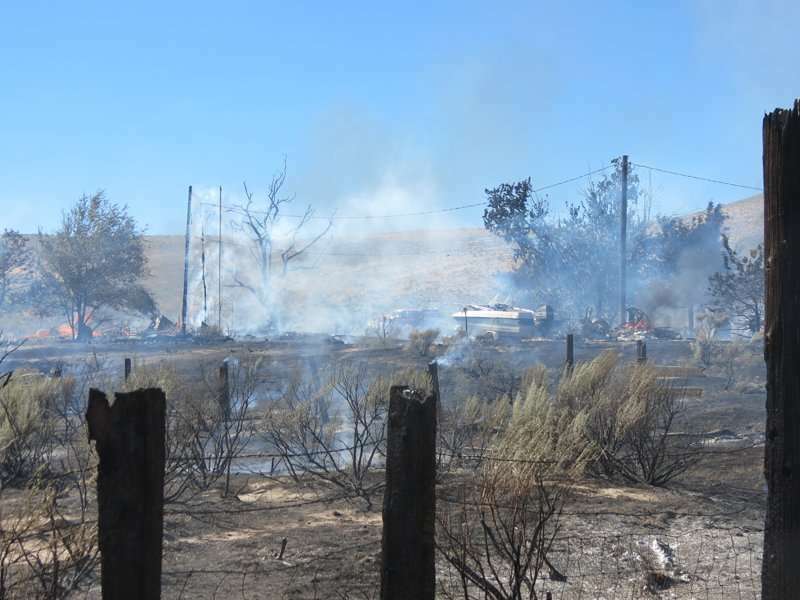 As of Thursday morning, June 28, according to Bureau of Land Management Public Information Officer Jeff Fontana, the Hyatt Lane Fire, which started Wednesday afternoon, June 27 on Hyatt Lane off of Standish Buntingville Road, burned about 441 acres. As a result of the blaze, Fontana said, one residential home was totaled and four other buildings sustained damage. Fontana added a civilian sustained unknown injuries and was treated at Banner Lassen Medical Center. As a result of the fire, nearby residents were evacuated and a portion of the Standish Buntingville Road was closed to through traffic. Although the fire still burned into Thursday, Fontana noted crews had built a line around the vegetation fire by sundown Wednesday. The cause of the fire is under investigation and about 175 personnel assisted in battling the blaze.